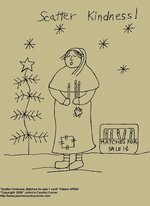 #A461-1 Primitive Stitchery E-Pattern, "Winter Time Laundry!" 3rd. pattern of 4 season series. Pattern measures 6" x 71/2". 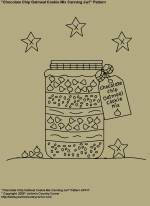 #A498-1 Primitive Stitchery E-Pattern, "Chocolate Chip Oatmeal Cookie Mix Canning Jar!" Pattern measures 7 1/4" x 7 3/8". 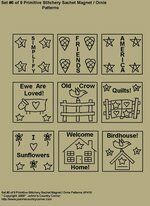 #A504-1 Primitive Stitchery E-Pattern, "Set of 9 Primitive Stitchery Sachet Ornies/Magnet"
Squares measure 2" x 2". 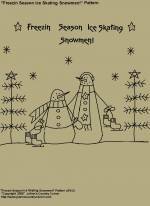 #A446-1 Primitive Stitchery E-Pattern, "Freezin Season Ice Skating Snowman!" 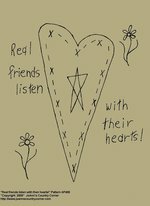 #A525-1 Primitive Stitchery E-Pattern, "Real friends listen with their hearts!" Measures 7" x 8 1/2". 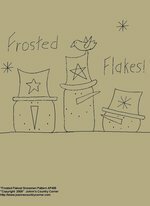 #A505-1 Primitive Stitchery E-Pattern, "Set 7 of 9 Primitive Stitchery Sachets Ornies/Magnets"
#A518-1 Primitive Stitchery E-Pattern, "Frosted Flakes Snowman!" Measures 6" x 7 3/4". 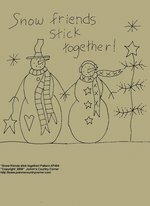 #A519-1 Primitive Stitchery E-Pattern, "Snow friends stick together!" 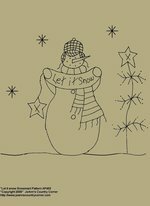 #A520-1 Primitive Stitchery E-Pattern, "Snowman, Let it Snow!" Measures 7 3/4" x 8". 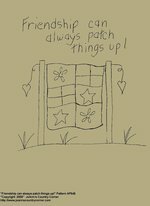 #A524-1 Primitive Stitchery E-Pattern, "Friendship can always patch things up!" 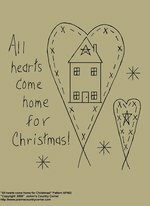 #A521-1 Primitive Stitchery E-Pattern, "All hearts come home for Christmas!" Measures 7" x 7 3/4". 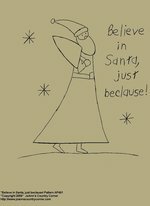 #A522-1 Primitive Stitchery E-Pattern, "Believe in Santa, just beclause!" Measures 6 1/4" x 7". 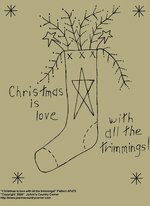 #A523-1 Primitive Stitchery E-Pattern, "Christmas is love with all the trimmings!" Measures 7 1/2" x 9 1/2". 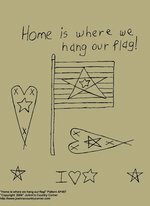 #A526-1 Primitive Stitchery E-Pattern, "Home is where we hang our flag!" 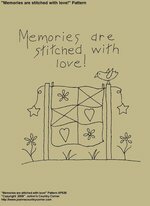 #A529-1 Primitive Stitchery E-Pattern, "Memories are stitched with love!" Measures 6 1/4" x 6 3/4". 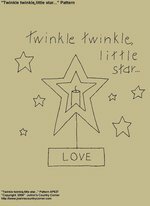 #A530-1 Primitive Stitchery E-Pattern, "Twinkle twinkle little star...!" 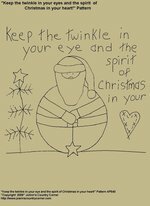 #A532-1 Primitive Stitchery E-Pattern, "Keep the twinkle in your eye and the spirit of Christmas in your heart!" Measures�6 3/4" x 7 1/2". 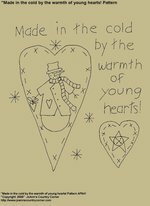 #A534-1 Primitive Stitchery E-Pattern, "Made in the cold by the warmth of young hearts!" Measures 6 1/2" x 7 1/2". 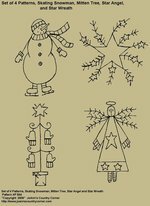 #A546-1 Primitive Stitchery E-Pattern, "Skating Snowman, Mitten Tree, Star Angel, Star Wreath!" Patterns measures�approx. 3 1/2" x 4 1/2". 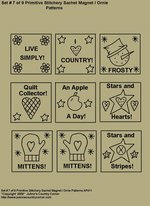 #A545-1 Primitive Stitchery E-Pattern, "Scatter Kindness!" Measures 7 1/4" x 8 3/4".